Two legendary German jazz musicians will be honoured by the Frankfurt Radio Big Band in the coming season: Volker Kriegel and Albert Mangelsdorff. "We are actually long overdue in honouring these two historically important musicians, who come from the region and have been successful internationally", says Olaf Stötzler, Orchestra Manager of the Frankfurt Radio Big Band. Presenting European jazz and its protagonists and bringing them together with artists on the other side of the Atlantic is simultaneously his mission and his passion. He explains, "It is precisely through working with someone like Jim McNeely that our projects can really make an impact in the USA, for example." Chief Conductor McNeely is pleased "to see that Europeans are not simply trying to imitate the Americans. They contribute their own experiences to their performance." In the 2018/19 season the Frankfurt Radio Big Band brings together musical genres ranging from fado to electronic and from Bach to traditional Indian music. Guest artists include Brian Blade, Youn Sun Nah, Dave Holland, Cristina Branco, Phronesis, Theo Bleckmann and Somi. 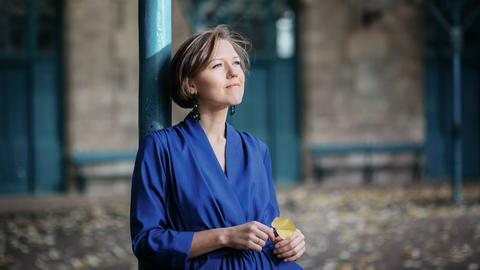 Furthermore, the Frankfurt Radio Big Band will once again play at the Europa Open Air Festival, organised by the Frankfurt Radio Symphony Orchestra and the European Central Bank, performing a programme on the banks on the River Wesel alongside singer Viktorija Gečytė. 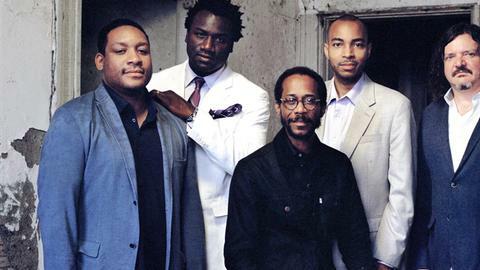 The ensemble will give two evening concerts at the 49th German Jazz Festival. The band will also be the main act at Soul am Römer (Soul on the Römerberg), the official opening ceremony of Frankfurt's new Old Town. 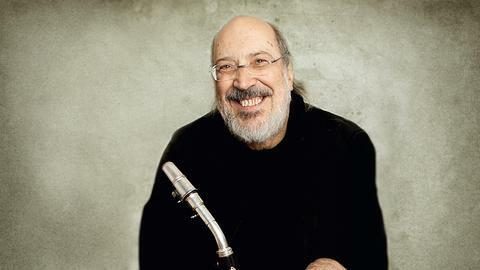 The Frankfurt Radio Big Band will be at the Multiphonics Festival in September for the first time, performing with Italian clarinettist Gianluigi Trovesi in Offenbach. The band's successful collaboration with the Bert Joris and Enrico Pieranunzi duo, which began in January, continues with an Ode to Chet Baker. Marking the 40th anniversary of his death, the Frankfurt Radio Big Band remembers the brilliant trumpeter, famed for his flawless, clear playing. Somi is a new star in the jazz sky. 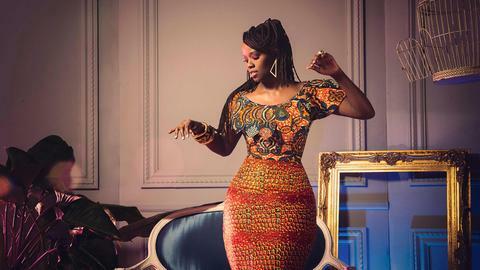 The American singer with Central African roots has been described as "the new Nina Simone". 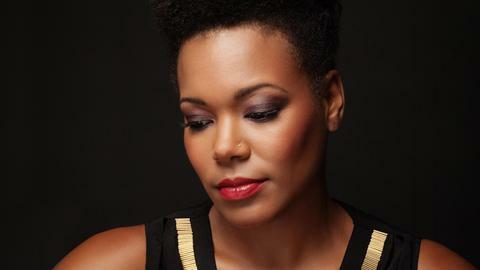 Now she will take to the stage of the Frankfurt Alte Oper with the Frankfurt Radio Big Band and combine her great vocal charisma and her broad musical range with the tonal possibilities of a jazz orchestra. Bach goes Big Band is the title of another concert evening at the Frankfurt Alte Oper. The Frankfurt Radio Big Band will set out to demonstrate the timelessness of Bach's oeuvre and how well it fits with the orchestral jazz of today. The Frankfurt Radio Big Band will present 32 distinct projects in numerous concerts not only in Frankfurt, but also in Giessen, Darmstadt, Rüsselsheim, Bad Hersfeld, Offenbach, Aschaffenburg, Kassel, Fulda, Bad Nauheim, Heppenheim and Geisenheim. Further afield, the Band will also make guest performances in important concert halls such as the Baden-Baden Festival Hall, the Brussels Centre for Fine Arts or the Culture and Convention Centre Lucerne. In the 2018/19 season Jim McNeely will present five projects with the Frankfurt Radio Big Band and is looking forward to rediscovering artists such as Albert Mangelsdorff: "I remember when his Albert Mangelsdorff and Friends record came out back in the USA. I thought to myself, 'Wow, this guy can really play!' And at the same time, he had a distinctive sound of his very own." Just like Darmstadt-born guitarist Volker Kriegel. In celebrating his 75th birthday, the Frankfurt Radio Big Band remembers an artist who developed a very individual signature style, both as a musician and as an illustrator. The band's two concert evenings with Brian Blade & The Fellowship Band is one of the most important projects of the season, according to Orchestra Manager Olaf Stötzler: "I feel that that Jim McNeely's style is a perfect match for this band's sound." In the chief conductor and arranger's own words, it will be "an exciting challenge", as drummer Brian Blade is bringing his entire band with him and McNeely will have to bring the two ensembles together musically. 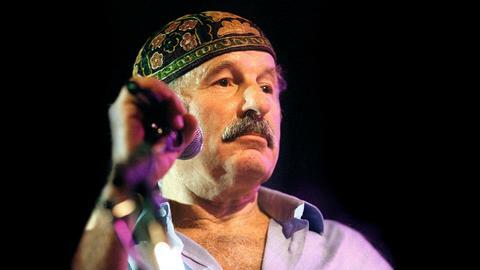 Also featuring this season is a re-recording of Remembering Zawinul, this time with keyboard virtuoso and specialist in the analog sounds of the Seventies Roberto Di Gioia taking the keyboard part. 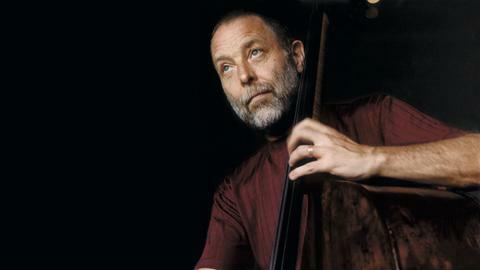 There will also be a reunion with bassist Dave Holland, "my hero since the Seventies", admits Jim McNeely. To continue this successful artistic collaboration, he will work on new arrangements of other works by the British artist. As in previous years, the Frankfurt Radio Big Band will open the jazz festival with an impressive concert in the Alte Oper. This year's motto is "Hats off!" 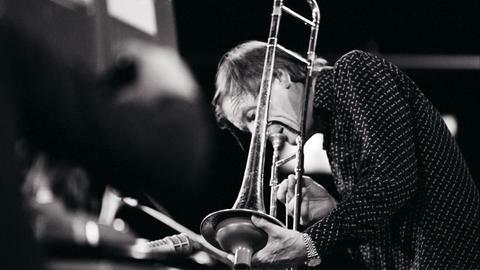 The band will also celebrate the 90th birthday of Frankfurt's own world-famous jazz trombonist Albert Mangelsdorff. Greats such as Joachim Kühn, Pierre Favre and Nils Wogram will honour him with a musical tribute. Jim McNeely's jazz orchestra arrangement of his works will be brought to life on stage with the Frankfurt Radio Big Band. An enfant terrible of jazz, Matthias Schriefl, who masterfully combines alpine folklore, jazz, punk and chamber music, will join the Frankfurt Radio Big Band in the hr-Sendesaal on the Thursday of the Festival. 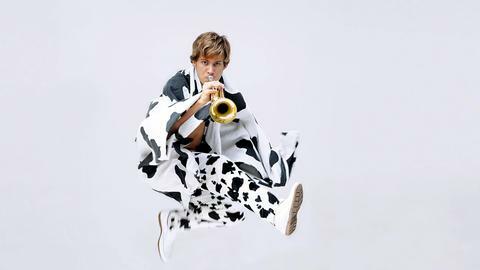 The trumpet virtuoso from Allgäu is writing a programme for the Band that includes Indian guest artists. "The Mirror Suite" is an approximately one-hour-long work by Christian Elsässer, one of the most promising arrangers of the next generation. He will perform the suite with the Frankfurt Radio Big Band and the electronic artist Leonhard Kuhn in the hr-Sendesaal. In June 2019 the Frankfurt Radio Big Band is introducing a new concert format. In a concert of approximately one hour in duration, the Band will present jazz music to pupils aged 10–14. 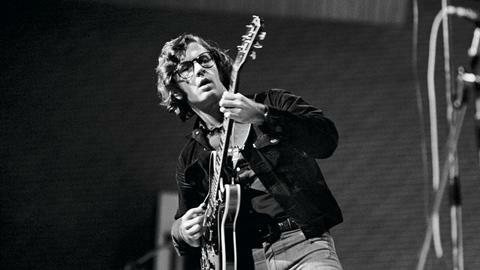 Each concert covers a different theme, for example a particular period or instrument. 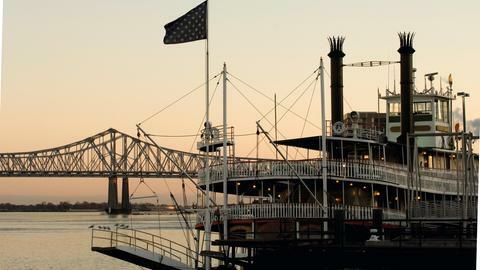 Through a commentary aimed at their age group, the young concertgoers will trace the path of jazz music through the USA from its origins in the Deep South all the way to New York and Chicago. The well-loved Frankfurt Radio Big Band Hesse school tour enters its teenage years, turning thirteen this year. After all these years, the numbers of schools applying for an exclusive concert visit show no signs of slowing down. 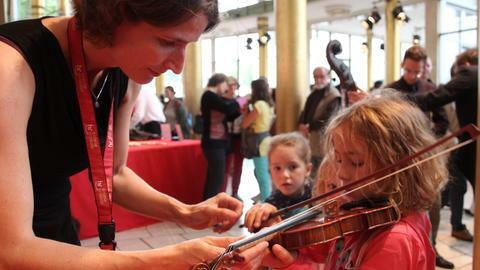 The professional musicians introduce schoolkids to a genre that is enjoying a real renaissance, especially among young people. 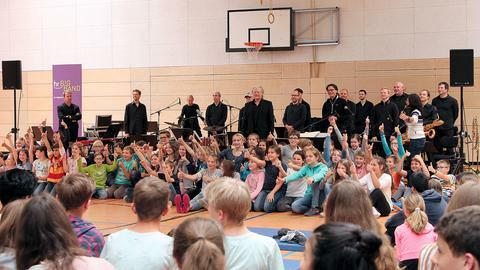 In June 2019, the Frankfurt Radio Big Band will be calling in at school halls in Gießen, Groß-Umstadt, Seligenstadt, Usingen and Marburg. 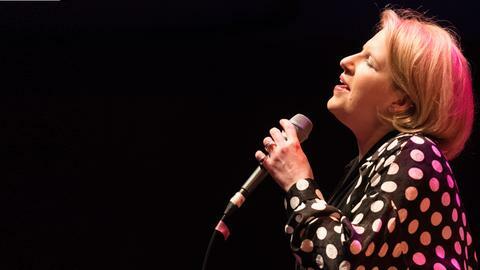 Fresh Sound – New Talent, the concert series for new voices on the jazz scene, now enters its fifth year. 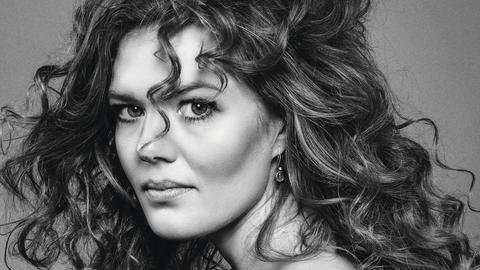 Over the coming season, Kathrine Windfeld, composer, band leader and New Danish Jazz Artist of the Year 2015, will introduce herself to Frankfurt audiences. Once again, the Frankfurt Radio Big Band and Symphony Orchestra jointly invite fans to take a peek behind the scenes. This season's Open Day "Backstage for everyone!" returns in May 2019.
or downloaded here [PDF - 2mb]. Subscriptions for nine, six and three concerts and individual tickets are now available for purchase by phone or online.